There’s nothing like eating a hotdog and watching your favorite team dominate the bases. Ever since the first pitch at the first officially recorded baseball game in 1846, baseball has been a popular pastime for people all over the world. In 2017, 28.9 million people tuned in to watch the World Series game and there are new fans created every single day. However, as baseball fans, it’s important to remember where we came from and appreciate how the sport was created. Take some time before your next game and learn more about the four baseball teams that started it all. Although officially established in 1881, the Cincinnati Reds say they were the first all-professional team founded in 1866. 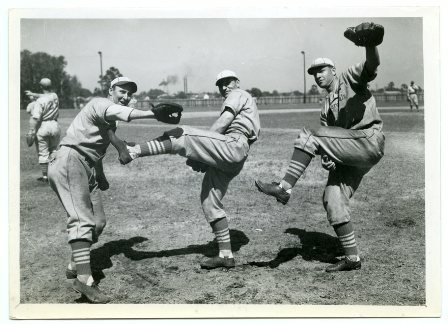 However back then, they were known as the Cincinnati Red Stockings. The Reds were one of the founding members of the American Association and won their first AA pennant in 1882. Then, in 1889, the Red Stockings left the AA to play National League and ultimately shortened their name to Reds during the 1890 season. In 1954, they did briefly change their name to Redlegs before returning back to their pride and true name. The Reds have won five world series since their introduction into the sport. You may know the Pittsburgh Pirates by their swashbuckling pirate parrot mascot. However, they weren’t always called the Pirates. When the Pirates was established in October 1881, their team was listed in the AA as “Allegheny” because their home field was in Allegheny City. Eventually, they were the first AA team to leave and join the National League in 1887. They have since won five World Series, but are also known for having the longest losing streak of any North American sports team. From 1993 to 2012, the Pirates had 20 consecutive losing seasons. One of the oldest baseball teams in the world is the Chicago Cubs. However, their history and entrance into baseball have often been contested. Although the team was established back in 1871, under the name Chicago White Stockings, the team actually didn’t play for the next two years due to the Great Chicago Fire of 1871. The team has also gone through many name changes from the White Stockings and Colts to their current name of Chicago Cubs. The Chicago Cubs have won three world series since then, with their most recent in 2016. Despite all the debate surrounding the topic, the Atlanta Braves have consistently been called the oldest continually operating team in baseball. Back in 1871, it was created under the name “Boston Red Stockings” and was one of the eight charter teams of the National League in 1876. That year, they played the first game off the National League and won on April 22, 1876. Eventually, the Red Socks moved to Milwaukee in 1953 and changed their name to the Milwaukee Braves. Then in 1966, they moved to Atlanta and became the Atlanta Braves that we know today. They have won three World Series titles ever since. Baseball is a popular pastime for many people around the world. However, its long history in the United States is one to be appreciated.